Yesterday evening, Chris Phillips — founding partner of Phillips Farevaag Smallenberg Landscape Architects (now PFS Studio) — was our salon’s guest speaker. 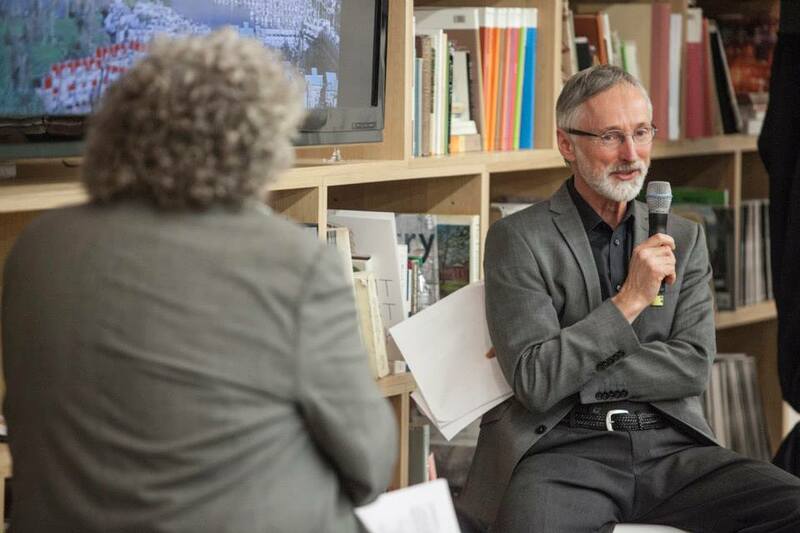 In his dialogue exchange with exhibition curator Trevor Boddy, he spoke about Vancouver’s longstanding connection to nature and how the 2010 Vancouver Olympics was a defining moment for him, seeing citizens interact with the downtown core’s public realm. In Phillips’ eyes, the future of the public realm lies in repurposing existing urban spaces. It was great to see our first salon speaker Leslie Van Duzer in the audience, supporting Phillips, as well as Geoffrey Erickson, the nephew of Arthur Erickson. Congratulations to Aaron Petruic, who was this week’s #gwerksalon winner! His question focused on regional landscape architecture identity and its implications in regard to city and community-building. Our next salon is Tuesday April 29, 2014 with Scot Hein, the Senior Urban Designer leading the City of Vancouver’s Urban Design Studio. RSVP Now!! 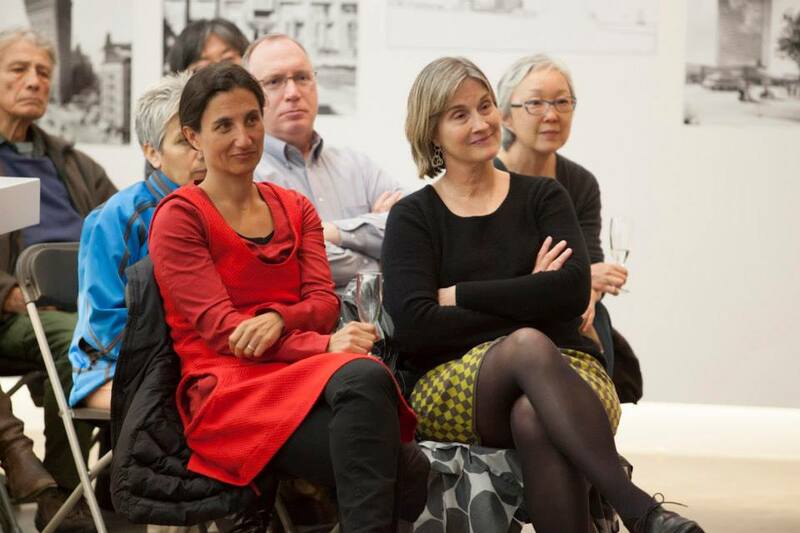 Keep on tweeting those city-building questions to @gwerkca with the hashtag #gwerksalon! We’ll be picking a winner to continue the conversation with exhibition curator Trevor Boddy, Hein and other guests at ORU following the next Tuesday’s salon.